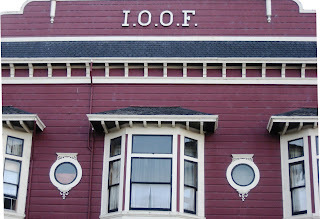 I'd long wanted to visit the small, Victorian town of Ferndale, just south of Eureka in Humboldt County. Located about five hours north of San Francisco, Ferndale is too far to travel for a weekend getaway so I had to wait for a longer trip to California's far north. Earlier this month, I took guests to see the redwoods in the Avenue of the Giants and Redwood National and State Parks and needed a place to overnight in between. I immediately thought of Ferndale. 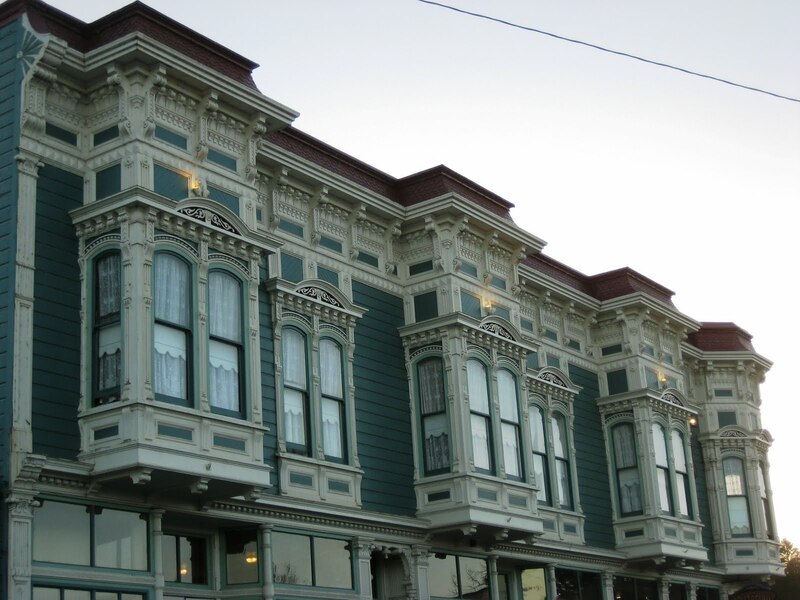 If you enjoy Victorian Architecture, Ferndale's the place for you. 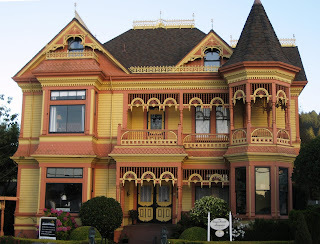 A stroll through the small town takes you past dozens of beautiful Victorian homes and buildings. When you arrive you can easily pick up a guide for a walking tour of the town. The small main street is lined with shops, restaurants, and galleries. One of my favorites is The Blacksmith Shop, a gallery of handmade, blacksmithed items. Ferndale Arts is a cooperative gallery showcasing works of many local and nearby artists. The Ferndale Museum has a collection of local artifacts and contains a wealth of information on local history. My guests stayed at The Victorian Inn, a lovely restored Victorian hotel. 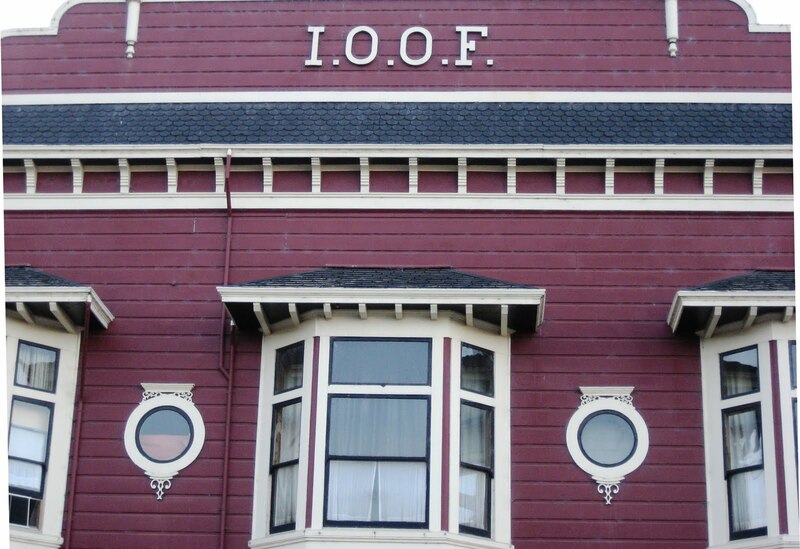 Erected in 1890, the hotel is built entirely of redwood. Rooms are decorated with Victorian style furnishings but include modern amenities such as flat screen televisions in some rooms and internet access throughout the hotel. The Inn's VI Restaurant is probably the best place to dine in Ferndale. A tour of California's far north is quite rewarding and an overnight in Ferndale is a relaxing stop. If you'd like to have someone else do the driving, contact Blue Heron Custom Tours and Travel for a private tour. I can be reached at (866) 326-4237 (toll free) or Rick@BlueHeronTours.com. Last week, I had the opportunity to visit Weaverville, the county seat and largest city in Trinity County, in the north of California. Our trip started in Redding and continued west along CA 299, the main road through the Trinity Alps. About 75 minutes later, we arrived in Weaverville. This old gold rush town still has buildings from the 1850s and a quaint main street through the historic section. The historic part of town is about 5 blocks long and contains some interesting shops, Victorian buildings, a few restaurants, and historic sights. The two main attractions in town are the Weaverville Joss House and the Jake Jackson Memorial Museum. If you like to fish or hike, there are many opportunities in the surrounding mountains. The Joss House is the oldest continuously used Chinese temple in California. The original Joss House was built during the gold rush but burned down. This temple replaced the original in 1874. The Weaverville Joss House State Historic Park is open Thursday - Sunday. The temple may only be entered with a tour, which begins on the hour from 10:00 a.m. - 4:00 p.m. The museum is operated by the Trinity County Historical Society and houses a collection of artifacts showcasing Weaverville's and Trinity County's history. Hours vary with the season, so check the museum's website to find out if the museum will be open during your visit. We stayed in the Weaverville Hotel, a restored 19th century hotel with seven guest rooms. Our room was spacious and contained a large soaking tub for easing away one's troubles. The rooms are on the second floor, which are only accessible via a long flight of steps, so the hotel is not for everyone. Breakfast is not served at the hotel but each guest receives a voucher for a discount at one of the nearby restaurants. Just across the street from the hotel is Mamma Llama Coffeehouse, where you can get a good cup of coffee and a light breakfast. Le Grange Cafe appears to be the best restaurant in town. We both had tasty dishes featuring buffalo -- braised buffalo and buffalo meatloaf. The wine list is surprisingly good. We tried a Trinity County Merlot, which was a decent wine at a very good price. The next morning we continued west, following the Trinity River on its way to the Pacific. We drove through beautiful mountain scenery before arriving at the coastal cities of Arcata and Eureka. I am certainly glad we made the trip and recommend a night in Weaverville if you are in the area, perhaps as part of a longer trip exploring California's vast north. However, if your time is short, you'll probably want to head to the Gold Rush towns in the Sierra Foothills and the Sierra Nevada Mountains for similar sights that are closer to the Bay Area. When I take people on tours of Muir Woods, they frequently ask about the redwood tree one can drive through. 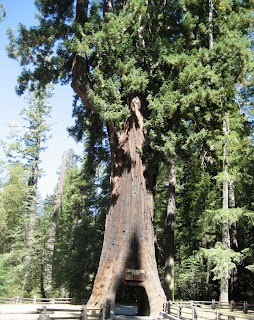 The most famous drive-through tree was a Giant Sequoia in Yosemite National Park that fell in the 1970s. There has never been a drive-through tree in Muir Woods. However, there are three privately owned drive-through redwoods in the northern part of the state at Leggett (Mendocino County), Meyers Flat (along the Avenue of the Giants in Humboldt County), and Klamath (near Redwood National Park in Del Norte County). The Blue Heron mobile made it through with about 4 inches to spare with both rear view mirrors collapsed. These three trees are the last of a kind. When they fall, there will no longer be drive-through trees as we now preserve our first growth redwoods. 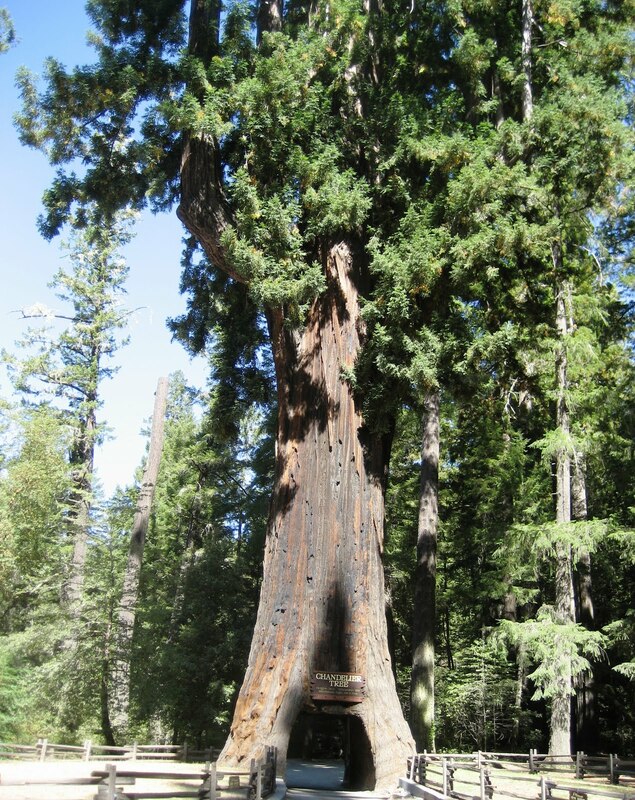 If you would like to take a private tour through the far norther of California that includes a drive through a redwood tree, contact Blue Heron Custom Tours and Travel at (866) 326-4237 (toll free) or Rick@BlueHeronTours.com.